The shooting was reported around 2 p.m. near Centennial Parkway and Goldfield Street. Just north of the shooting are two elementary schools and Legacy High School. As police continue to search for suspects in the shooting in a North Las Vegas neighborhood some people in the area said they are growing increasingly concerned about their safety. Jack Hendrix lives across the street from the convenience store where a 16-year-old boy was found shot in a parking lot just after 2 p.m. Tuesday. Hendrix said he often sees a lot of teenagers congregating in the parking lot and stopping at the store after school lets out. "I hear a lot of them swearing and cussing at each other, " Hendrix said. "I haven't seen any fights, but they talk about it." He has two daughters and a son ranging from ages 12 to 5-years-old and after living in North Las Vegas for less than six months he's now worried about safety. "I'm worried about my kids going to school and not coming home," Hendrix said. "Them walking down the street and someone shooting at them or grabbing them or something." He's not alone in feeling that way. Just weeks ago an 11-year-old girl was shot and killed in her home nearby. 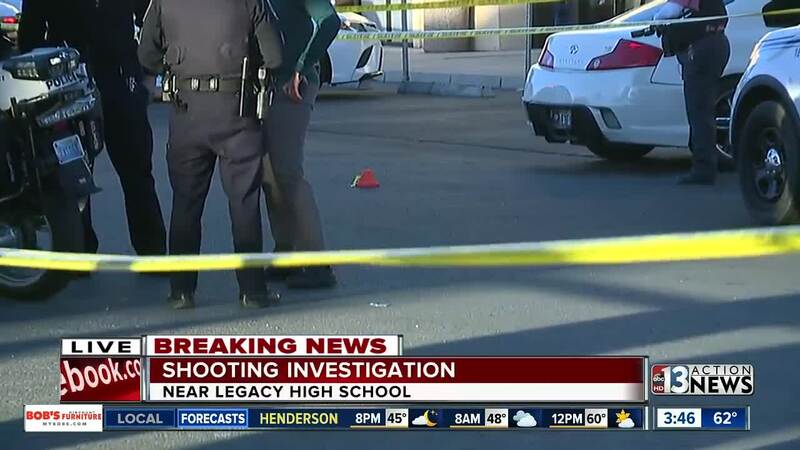 This latest shooting happened in a different location, but nearby two schools. 13 Action News spoke with the boy's grandmother who was understandably beside herself with grief. "He just fills the room up with all his love, " she said. " And for this to happen. It took something from me." She said the boy attends Legacy High School which is less than a mile away. Don Hayden Elementary is also close. Police say they will be doing increased patrols in the area as a result. "I don't see enough police around here, " Hendrix said. "The only time I see police is when something bad happens." 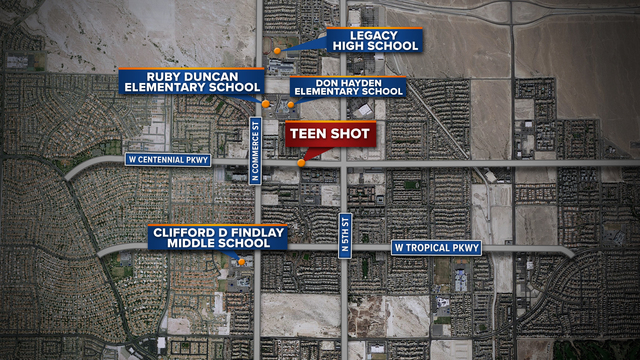 A 16-year-old boy was critically injured in a shooting in North Las Vegas Tuesday afternoon. No suspect is in custody as of this time. North Las Vegas police public information officer Aaron Patty reiterated the importance of gun safety, especially after other shootings involving children in the area in recent weeks.